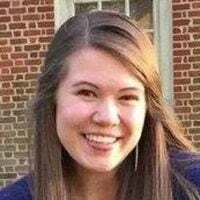 Virginia Allen is an administrative assistant in the Communications Department of The Heritage Foundation. There is a growing split taking place among American fathers today. On the one hand, more and more children are growing up without a dad in their lives. But on the other hand, fathers who are involved in their kids’ lives have actually become even more active. The Pew Research Center reports that fathers who live in the same home as their children have become increasingly engaged in the lives of their kids over the past half-century. In 2015, fathers reported spending an average of 7 hours a week interacting with their children, compared with 2.5 hours in 1965. Today, 57 percent of dads say they see parenting as a central part of their identity. 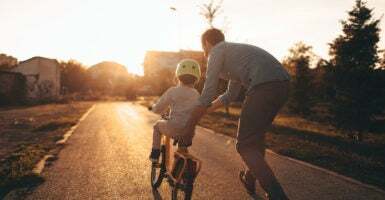 This encouraging shift in fatherhood involvement could be owing, at least in part, to the greater amounts of research showing the importance of a father’s role in the life of his child. Nonprofits like Focus on the Family have championed the role of fathers and have promoted well-researched materials to back up their claims. While it’s true more fathers are taking the time to come home from work and throw the football around with their kid, an increasing number of children find themselves without an active paternal presence in their lives. Pew reports that only 11 percent of American children lived apart from their dads in 1960. Today, that number has grown to 27 percent. One in every three American children are now growing up in a home without their biological father. Simply put: Dads, we need you. As I reflect back upon my own childhood and the role my dad played, and is still playing in my life, I find myself overwhelmed with gratitude. My father is far from perfect, but he was present. School was challenging for me as a kid, so my dad often took time to help me with my homework after he got home from work. I remember sitting on our living room couch struggling to understand my math homework with my dad’s instruction. To be honest, I’m not sure he was much of a help—but he was there. I have always known that my dad was there for me, not just because he told me he was, but because he showed me. The greatest gift my father has ever given me was his time. So to the fathers who have sacrificed for their children, who have worked to be involved in each day of their child’s life, thank you. Your children will always remember your involvement in their lives. And to the fathers who would like to do more, remember the importance of your role. It is not about being perfect, but being present.